In this illuminating study, Dower explores the ways in which the shattering defeat of the Japanese in World War II, followed by over six years of American military occupation, affected every level of Japanese society. 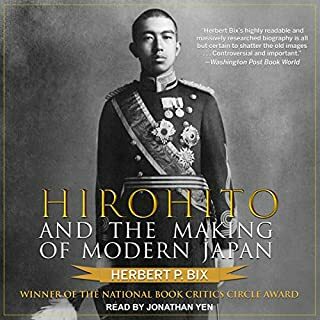 He describes the countless ways in which the Japanese met the challenge of "starting over", from top-level manipulations concerning the fate of Emperor Hirohito to the hopes, fears, and activities of ordinary men and women in every walk of life. He shows us the intense and turbulent interplay of conqueror and conquered, West and East, in a way no Western historian has done before. 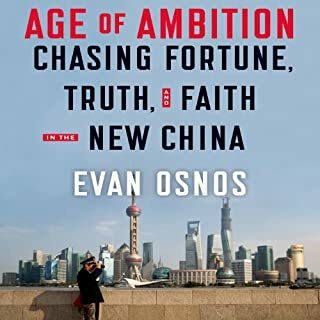 This is a fascinating portrait of an extraordinary moment in history, when new values warred with the old, and early ideals of demilitarization and radical reform were soon challenged by the United States' decision to incorporate Japan into the Cold War Pax Americana. 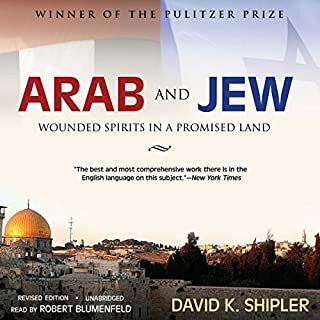 ©1999 John W. Dower (P)1999 Blackstone Audio Inc.
Hey, why doesn't the description of this book even mention that it won the Pulitzer Prize in 2000? This is a great history that dives into all aspects of Japan under the occupation. 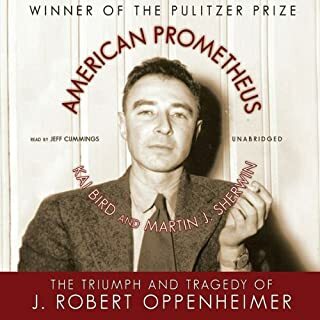 It goes way beyond the usual touchpoints of MacArthur, the Emperor and the Constitution to look at things like what (and how little) people ate, the black market, popular magazines, intellectual life, and the sudden reversal in American racist attitudes toward the Japanese when the war ended and democratization, rather than extermination, became the goal. I'd give it a five-star review except that the narrator simply cannot pronounce the Japanese terms properly, or even recognizably in a lot of cases, and there are a lot of Japanese terms in the book. So minus one star for the narrator. This is an amazingly complete and fantastically researched history, delving deeply into many elements of late-war and postwar Japan that I knew little or nothing of. The extensive use of Japanese sources adds a most interesting element to the book. The narration, however, was well below the quality of the author's work. I do think it would be a challenging book to narrate -- with many Japanese terms -- but that doesn't excuse the many instances of surprising pronunciation of even English terms and the many instances of inappropriate verbal emphasis. John Dower in "Embracing Defeat" tells the story of the occupation of Japan following the war and how the Japanese life was changed. I came to this book as one who wanted to be informed and frankly expected a dry history. I was disappointed. This is a wonderful, englightening, and engaging story. Dower has done the listener a real service by sheding light on the behavior of American forces and the Japanese alike. The transition made by every strata of Japanese society is here in chronological order. He takes the hands of readers and walks them through daily life during that period. He does not white wash the American side nor the Japanese response. Dower's description of the stark poverty and starvation among the Japanese is eye opening. As the society was opened, he shares how individuals grew and took advantage of conditions and changes offered them. I was facinated by the ambivalence of the Japanese to their new way of life and how they adapted. Audible listeners will be as well. Well written and Dower thanks various individuals who helped with the editing in the forward. The reading is fine, but could be a little more animated. The text is peppered with Japanese language followed by English translation. I found that an informative approach. Dower does a fantastic job of research. The story of post-war Japan is much more complex than I would have suspected. His history explains a lot about current Japan - the pacifism, the conflicts over Japanese textbook depictions of WWII, and the close ties to the USA. I liked his stories of everyday life, as well as his description of the development of the innovative Japanese post-war constitution and the retention of the Emperor system. I highly recommend this to anyone who wants to understand modern Japan. The reading is also top-notch. After reading several books about the Pacific war and the fall of Japan, I was pleased to discover a book which dealt with the country's adjustment to occupation and beyond. However, Embracing Defeat turned out to be a severe disappointment, and I gave up after about three hours. The book is too shallow to qualify as a penetrating work of history, yet too complex for a popular audience. It is poorly organized, repetitive, and full of sweeping generalizations juxtaposed with tiny details. I found it hard to make sense of what the book was trying to argue. If that were not enough, the narration is delivered in such a rapid fire fashion as to preclude reflection. Worst of all, the only inflection in the reader's voice occurs when he reads one of the all too frequent quotes, in which case he raises both the pitch and volume of his voice in a most annoying way. Given that he frequently places emphasis on the wrong word in a sentence, thus changing its intent, I was left with the impression that he was just reading words, without much understanding of their meaning. Having just returned from Japan, I found this book very interesting. It tells the story of the years after WWII and nurtures an understanding not only of how Japan evolved, but also how those years have lead to our current relations with Japan. 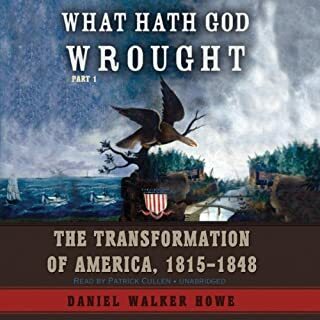 For those not especially interested in history it will probably drag and be too full of detail, but I found it very informative and thought provoking. This is a book read by a computer. The pauses are off and listening is painful. I can't believe Audible did this. What am I paying for? Had I known they did this I would have bought the book to read it. VERY disappointed. This book is well done, although it is dry at times, and extremely long. There is a ton of detail, and I would think almost all listeners will learn a great deal from this text. It is boring at times and the narration is poor, but there are some very interesting parts, particularly in the second half. One of the biggest limitations of this book is the narration, which is very robotic in voice and style. 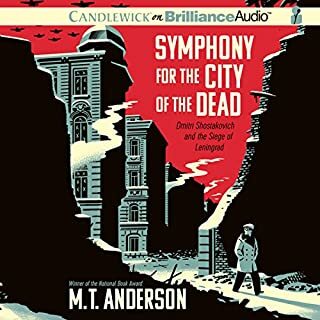 The narrator’s name (Edward Lewis) is not featured on the icon of the audio book, and it took me quite a while to become convinced that it was in fact a human narrator. This robotic tone makes it difficult to speed read, which is almost a necessity due to the detail and repetition of the book. There were times early on when I wasn’t sure I could get through the book due to the narrator. As so often happens, by the final third of the book I was totally used to the narration. The narrator often abruptly changes the volume and inflection of his voice during the narration, presumably to signify words either italicized or in quotes. It’s easy to see why he chose to do this, and some sort of change is necessary for an audio book. But the way that Lewis does this adds to the robot-like feel of it. The author begins with a lengthy credits and acknowledgements section. This is fine and totally understandable. It is not, however, ideal for an audio book. You’ll no doubt want to crank it up to 2.5 speed for that section. It’s worth it to push through the dry portions. There are some very interesting parts. The book is amazingly detailed. Seemingly hundreds of examples are included for each topic or subject. That sort of thoroughness unavoidably leads to what feels like repetition. Some chapters are certainly more interesting than others. I enjoyed the instances when the author would betray his opinions and feelings about certain things. At one point he labeled something, “an appalling statement,” and referred to one of the historical figures as “the old murderer.” Sometimes that sort of thing is good, even in a history book. I would recommend this book because it is so detailed and informative. If your goal is to learn about the American occupation of Japan, this is the book you want to read. Push through the dry parts and the annoying narration. It is worth it. History is and should not be a chronicle of wars, battles, their plots and plotters. This book shows the way. Future generations will always wonder how economically and politically the world got shaped so radically and quickly post WW2. Nowhere the transformation was bigger and swifter than in Japan. The book provides a sweeping view of the changes in the first seven year of the war - how a starving nation, that agreed to total pacifism, that was still coming to grips with its own defeat and horrors it perpetuated, that had still not grieved its dead or punished those guilty, was on course to become a economic, political and technological giant - and not just a proper nation - in a handful of years. It's a story of the vanquished and its victors. The imposition of new ideas, that perhaps drew George W to dream something similar in Iraq. The contrast of what happened in Japan with the economic implosion of Weimar post WW1 or political turmoil of Afghanistan/Iraq post 2001-2 wars must have many more reasons than what is covered here but no such studies can begin without deep knowledge of generally less talked Japan of the 40s. The author systematically portrays the wide range of emotions the Japanese felt - from hopeless despair to destitution to guilt to anger towards the establishments (including the emperor) to genuflexion to victors to joy at new freedoms and progress. The book takes a highly unbiased view of the US's own attitudes and actions. The book is a great example of what sort of work deserve the highest awards. A masterclass on a highly important historic period and subject. Victory is sweet; defeat is bitter. Victory engenders responsibility for the defeated; defeat demands fealty to a victor. Japan’s rebirth after WWII proves the point. 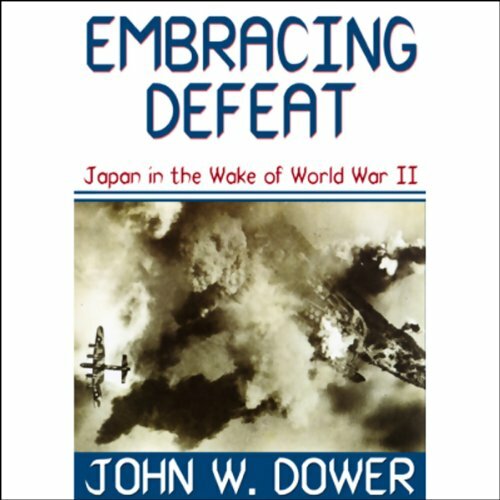 John Dower, in “Embracing Defeat”, endeavors to picture Japan’s condition; i.e. the state of its economy and its people, after surrender in WWII. History’s complexity is difficult to capture in words. Dower makes an effort to explain the context of post war Japan by showing Japanese attitude in media reports and literature of the time. The irony of Dower’s effort is that media reports and literature are censored by Allied forces, particularly the United States. One’s interest is piqued by Japan’s experience after WWII because of the current Middle East muddle. Countries like Libya, Egypt, and Syria are on the verge of cataclysmic government change. Iraqis are further down that track. What is going to happen in those countries? Are there any clues in the great change that occurred in Japan after WWII? Nature abhors a vacuum (Spinoza). The centralized governments and economies of Libya, Egypt, Syria, and Iraq will be occupied democratically, autocratically, or some combination thereof, when domestic tumult subsides. Japan’s experience suggests that freedom will not be denied but how it exhibits is a mystery wrapped in Middle Eastern histories, beliefs, and practices. Will there be an equivalent “Major Bonner Fellers” to guide America’s policy in the Middle East? Where human freedom leads in the Middle East is a Middle Eastern peoples’ decision, just as Japan’s rebirth was and is a Japanese decision. Narrator sounds like a robot. His pitch and tone is all over the place. Really struggling to finish. I remember this was a must read for those at my university who studied Japanese or Japanese history. The author does a good run of really delving deep into a less written about time in Japanese history. However after reading this one fully understands modern Japanese culture today and how it was shaped from the SCAP years of post WW2 occupation. Shows how the Japanese were not allowed to come to terms with their role in the war and their processing of war guilt was interrupted or hindered by the American forces, which is a legacy they are forced to live with today. The only problem is the narration is EXTREMLY BAD!! Really easily the worse I have ever heard. Its almost like a computer program read it. Please update this with another narrator worthy of this scholarly work.